Alary bids to get the wheels back on his British career when he heads a select field in a contest that his stablemate Masters Hill won two years ago. A prolific performer in France where he was twice Group 1 placed, Alary failed to run to expectations on his first start on this side of the Channel when pulled up in the Peter Marsh Chase at Haydock last month. Well in contention in the early stages that day, Colin Tizzard's chestnut faded tamely in the home straight but may be better suited to this smaller field. If he can bounce back, all options remain open for Alary, who holds entries at Cheltenham in the Ryanair Chase and Timico Cheltenham Gold Cup, and further down the line, the Randox Health Grand National at Aintree. Tizzard said: "We scoped him after Haydock and there was a bit of mucus. He also coughed straight after the race but he hasn't done it since. We treated him a bit for ulcers and he has been on antibiotics, so we've done everything we can. He's in lovely form and looks big and strong. We want to get him to Cheltenham but he nearly needs to win this race." He added: "He could go either way. He could win or be beaten. We don't know. That's why we're running him." Of the opposition, Tizzard is more than familiar with Tea For Two who finished fourth to Thistlecrack when last seen in the King George VI Chase at Kempton on Boxing Day. Nick Williams is expecting another bold show from his chasing star, who takes a sharp drop in class but has won at the track before. Williams said: "This looks the ideal race for him and he's in very good form at home. He likes the track and it's just down the road from us. I'll be disappointed if he can't pull it off." Carraig Mor returns from a long layoff for Alan King, who has won this contest twice with Crystal D'Ainay in 2008 and Bakbenscher three years later. The trainer said: "He was a Grade 2 novice chase winner in 2014 but has been off the track for two years so will need this race. 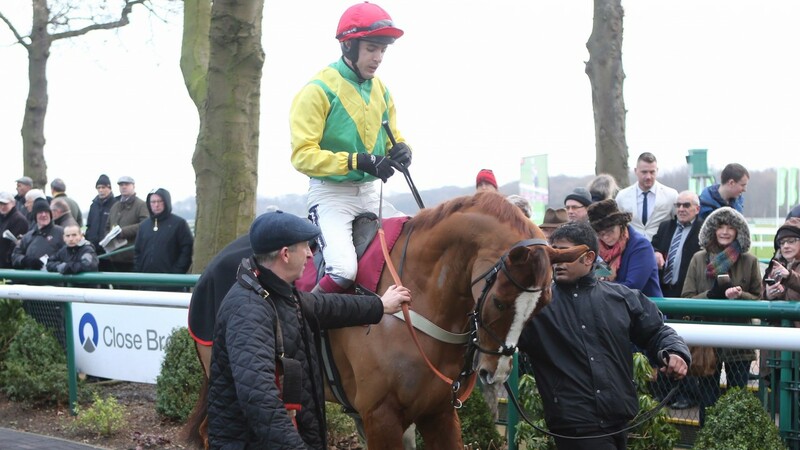 We have him entered up at Cheltenham and he schooled well on Monday so we're keen to get him started again." Henri Parry Morgan, who is back over fences after a moderate showing in the Cleeve Hurdle at Cheltenham last time, completes the quartet.